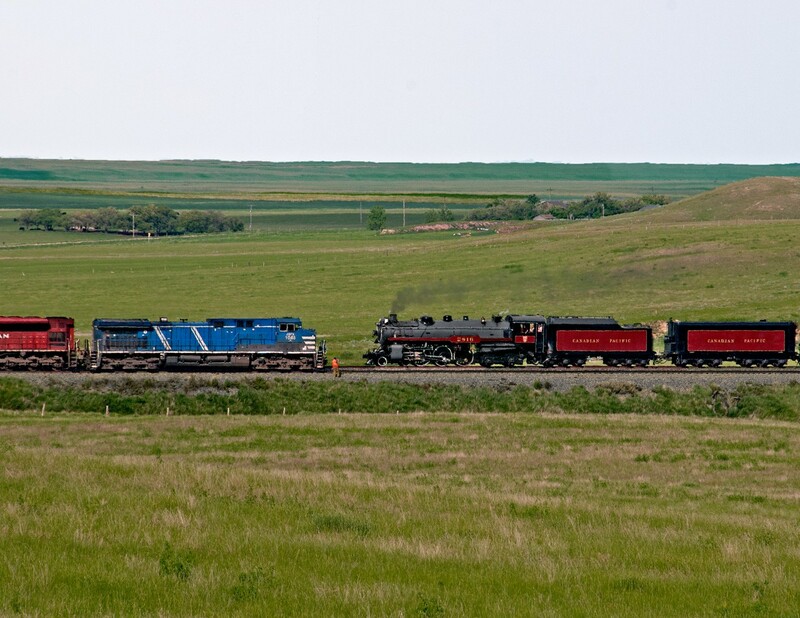 Railpictures.ca - Bill Hooper Photo: CP Hudson 2816 returning to Calgary from an Intermodal Terminal Sod Turning at Regina meets an eastbound grain empties at Hatton, last siding in Saskatchewan between Maple Creek and The Hat | Railpictures.ca – Canadian Railway Photography – photographie ferroviaire Canadienne. Agreed this should be in CP calendar. Fantastic shot! This pic deserves to be in a calendar! Well done!